With our exclusive, patented drum handling technologies, Liftomatic Material Handling, Inc. is a leading equipment provider to the paint, coatings, and adhesives industry. 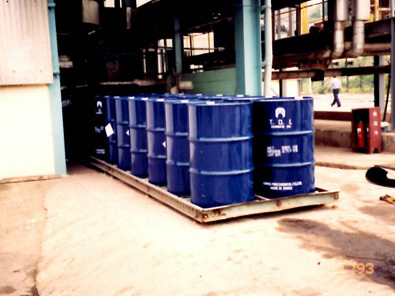 Whether you are a manufacturer, distributor, or service provider, we offer high-performing drum and barrel handling solutions that promote the smooth flow of containerized product inside your facility. 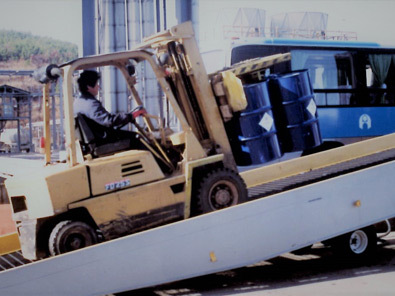 We manufacture both standard models and customized versions of forklift mounted drum handlers, hoist and chain attachments, drum dumpers, and portable drum handling equipment. The pigments, solvents, resins, and additives used in the manufacture of paints, coatings, and adhesives, as well as the finished products, can include volatile liquids that can emit flammable vapors and gasses. We furnish equipment that is certified for use in Class 1, Division 1 hazardous locations. 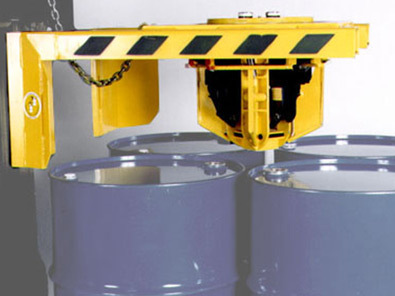 Featuring spark-resistant designs, our equipment safely and securely lifts, palletizes, transports, dumps, and maneuvers drums and barrels in the manner that your operations require. We incorporate features for weighing, measuring, and controlled pouring in your blending areas and on your fill lines. 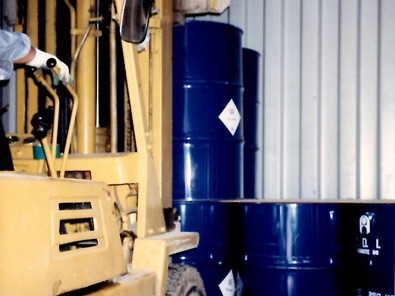 Our drum handling solutions include innovative products and technologies for use in production zones, inside your laboratory, and for palletizing and transporting drums to and from storage, shipping, and receiving. We have a strong background in the paints, coatings, and adhesives industry as well as many others with specialized material handling needs. One of our most remarkable accomplishments is that our products are used by 80% of the companies listed on the Fortune 500. With our 70+ years in the material handling industry, our drum and barrel handling equipment sets the industry standard for performance and quality. Contact us directly to learn more about our products or to schedule an on-site ROI analysis. Production, blending, testing and laboratory areas, fill-line, storage, warehousing, shipping and receiving dock requirements. C1D1, Spark-resistant, weighing and empty pallet handling units available. On-site ROI analysis and trial policies for qualified customers. Less than 1 Week (Capital Equipment) , custom designs by quotation.